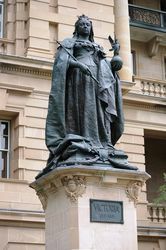 The statue, funded by public subscription, was erected to commemorate Queen Victoria who died in 1901. 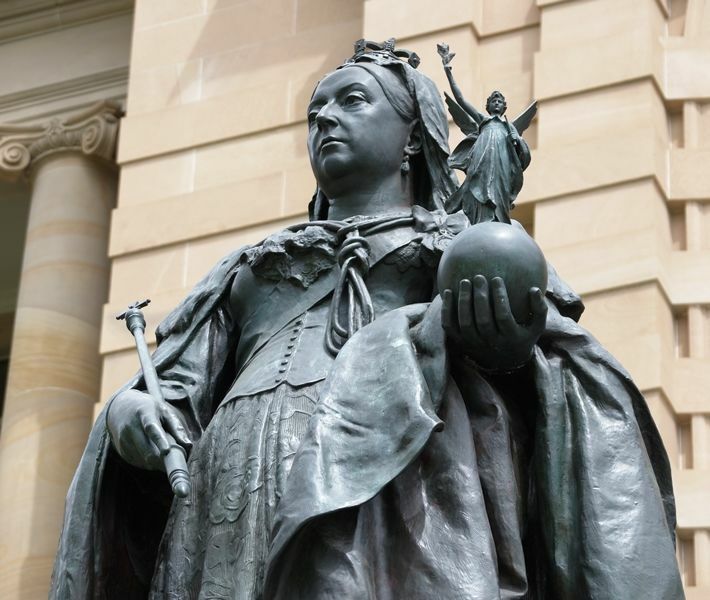 Victoria (1819 – 1901) was Queen of the United Kingdom of Great Britain and Ireland from 20 June 1837 until her death. From 1 May 1876, she used the additional title of Empress of India. The ceremony of unveiling the statue of Queen Victoria was performed on Saturday afternoon by the Governor in the presence of a very large gathering. 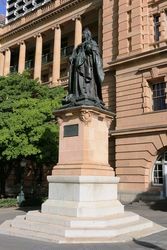 The statue is erected in grounds adjoining the Executive buildings in George-street. The military and naval forces formed a guard of honor for Lord Chelmsford who drove up at 3 p.m., and after an appropriate speech, unveiled the statue. Simultaneously the Royal Standard was hoisted and the band played the National Anthem. 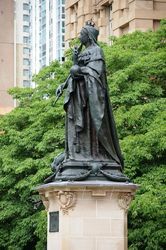 A handsome wreath was then presented to Lady Chelmsford who deposited it on the statue. 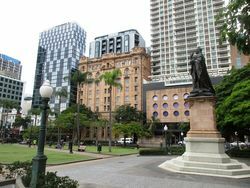 Among those present were the Chief Justice, the President of the Legislative Council, Members of the Ministry, a number of members of Parliament and many other prominent citizens. Morning Post (Cairns, Qld), 25 June 1906.